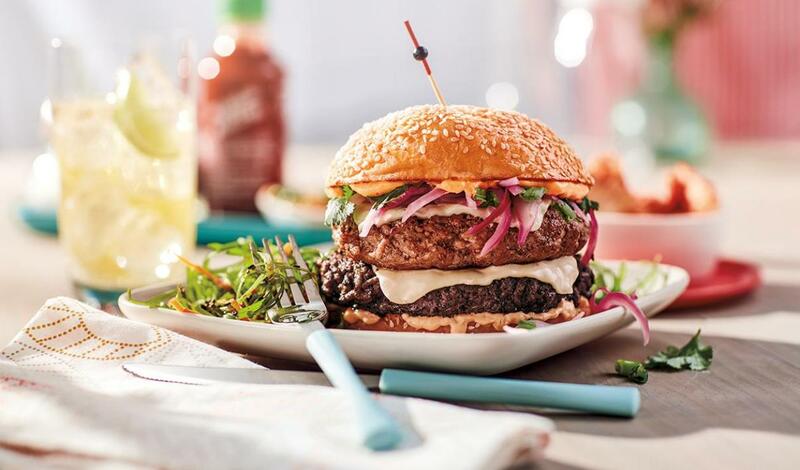 Both a beef patty and a pork patty topped with pepper jack cheese, green onions, pickled red onion, cilantro and Gochujang mayonnaise. Combine ingredients and mix well. Chill until use. Bring all ingredients except the onions to a boil. Remove from heat and add onions. Allow onions to cool at room temperature, strain and chill.